Our final day spent in beautiful California took us back to San Diego. I was finally able to meet Daniel's middle brother, Ian, and his beautiful fiancè Georgina. 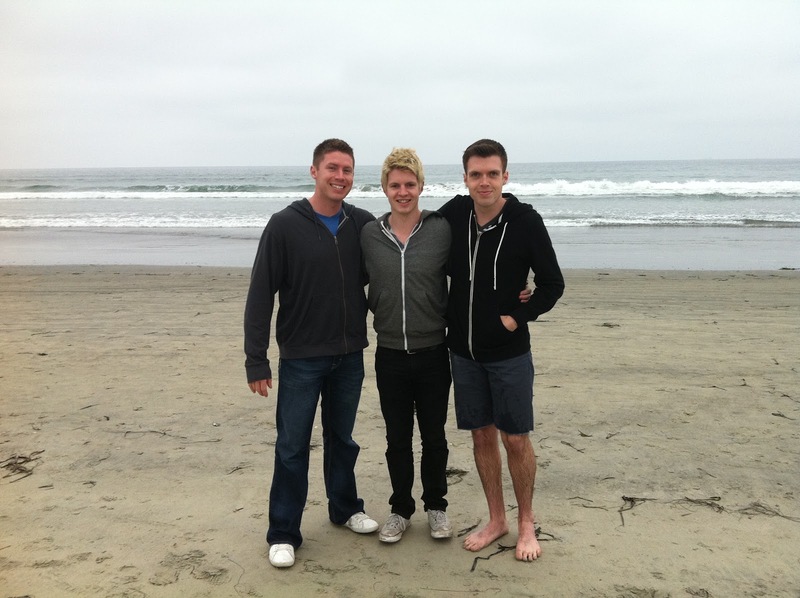 Ian is the brother in the shorts and black hoodie. I am really sad I didn't capture a shot with his fiancè, who is truly a dish. 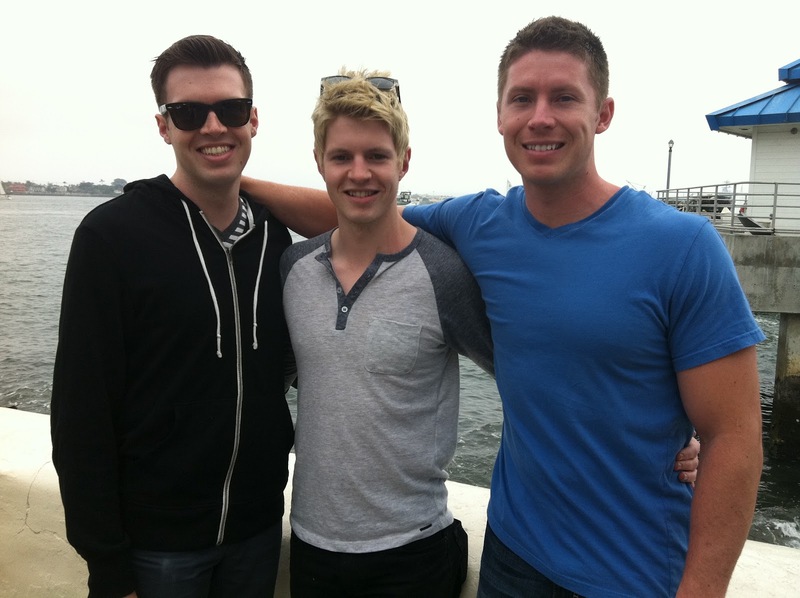 Their younger brother, Adam, is the one with the hideous accidentally really blonde hair. Sorry Adam, but it's so bad. Anyway-- it's almost as though he was letting me live vicariously through him since I can't dye my hair right now... so he did it to himself for me. 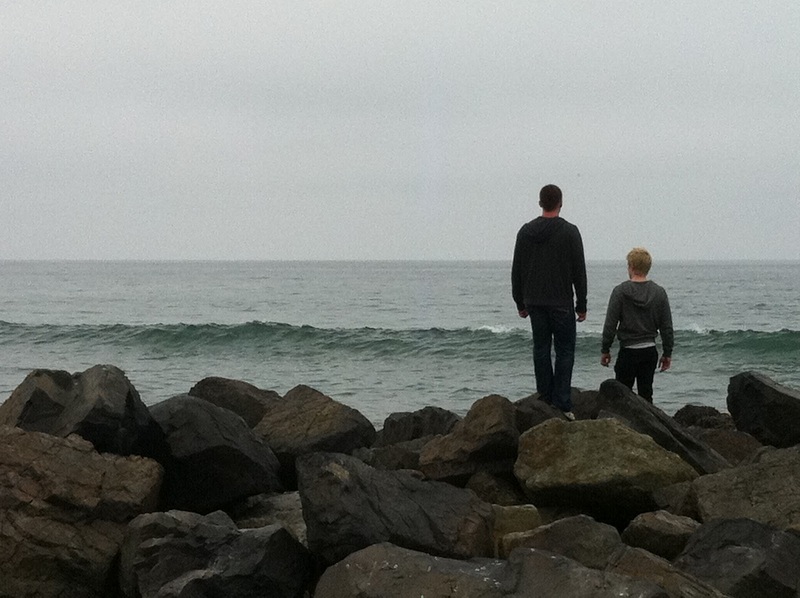 Our short trip to Coronado Beach was not without surprises. and right afterward we got the chance to see dolphins jumping through the waves. ...and NO— that is not how we kiss. We began giggling mid-kiss, if you must know. I also got to share a glass of wine with my best friend from college. and waking up at 4am to head to the airport. We live the glamorous life, eh? Sounds like you had a wonderful time :) Love the pictures! You and your man are too cute together! This sounds like a fabulous trip to me! looks like you had fun! the kiss picture on the beach is so cute! What a fun trip! You two are so cute, even if you are giggling in the photo lol. I LOVE Coronado, I was able to live there for one summer and fell in love. Felt like a fake little Stepford community to me! Seeing a proposal and then dolphins? Sounds amazing! 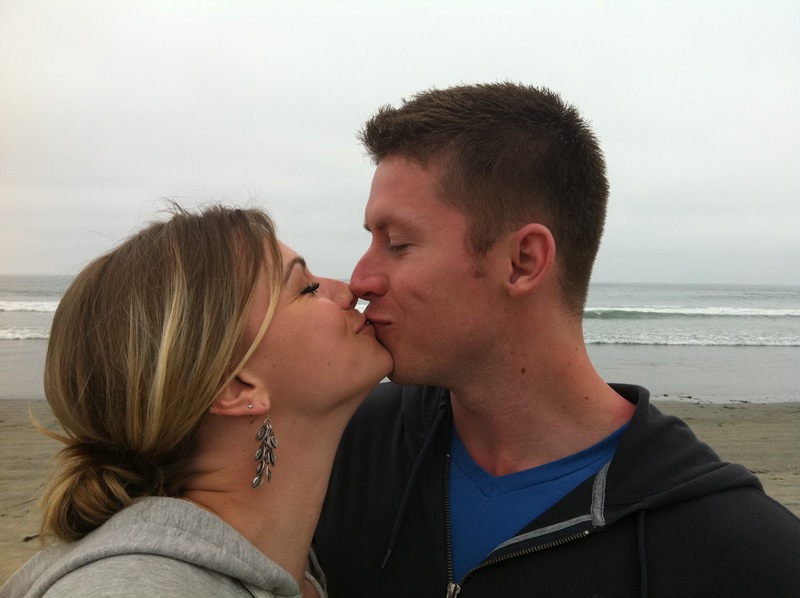 You and your guy are such a gorgeous couple :) I love your earrings by the way! Sounds like an awesome trip, Aunie. Minus the sleeping in the car until 4am. I've been there and it was awful...haha. Our trips to SD juuuust missed each other! And guess what? I was in a wedding at Hotel Del Coronado on Sunday. :-) Love it there! Gorgeous hotel and beach! So glad you had fun, darlin'!